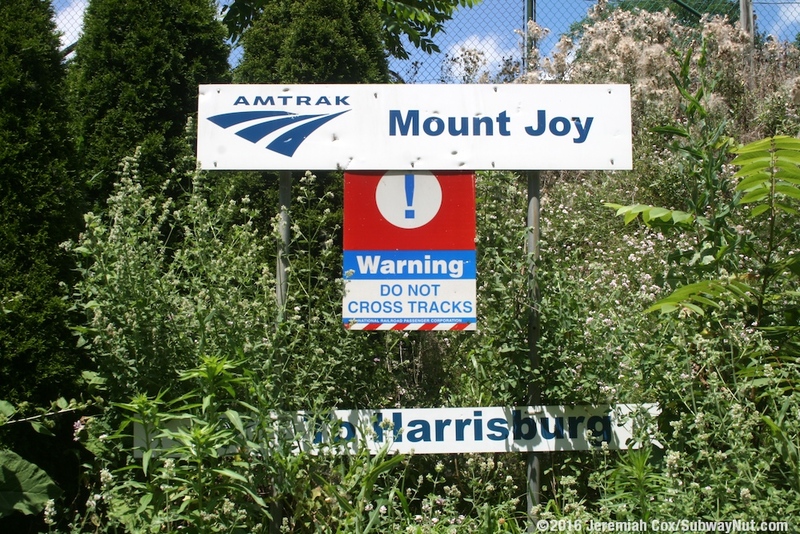 Mount Joy is a minor intermediate stop on the Keystone Service that the Pennsylvanian and some weekday Keystone Service Express trains bypass. 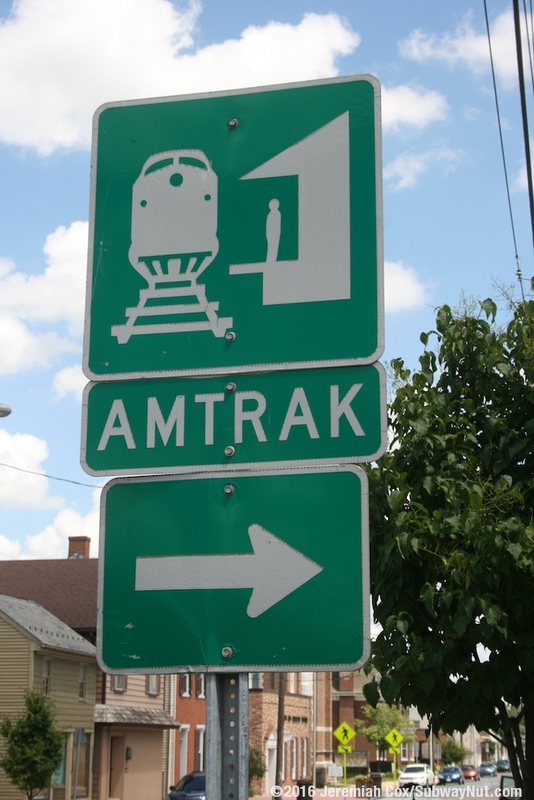 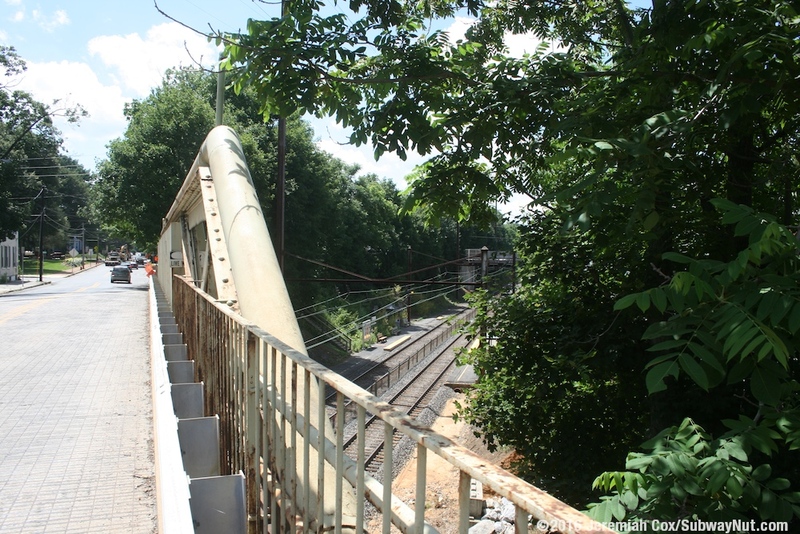 The station is located on a two-track section of electrified railroad in an open-cut between the overpass bridges of Marietta Pike and Market Street. 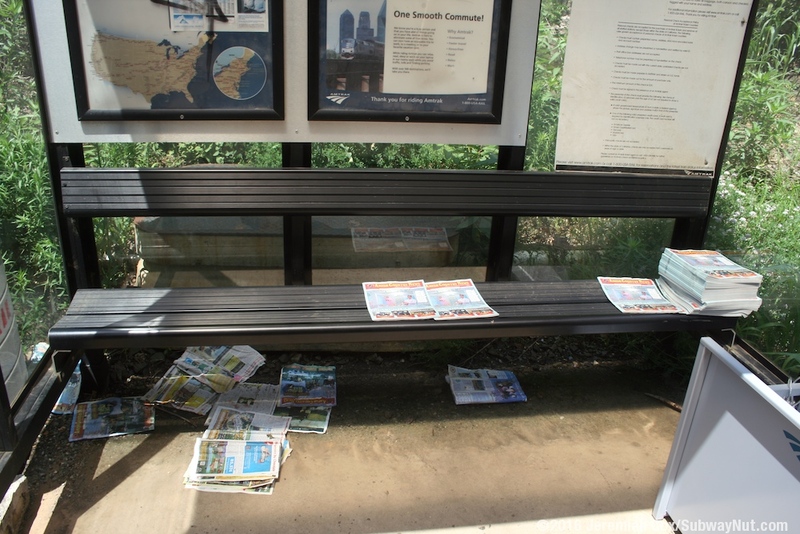 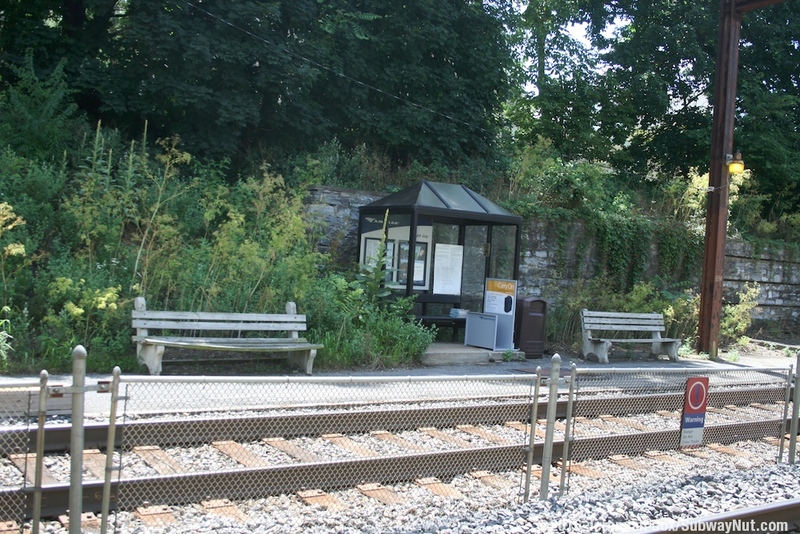 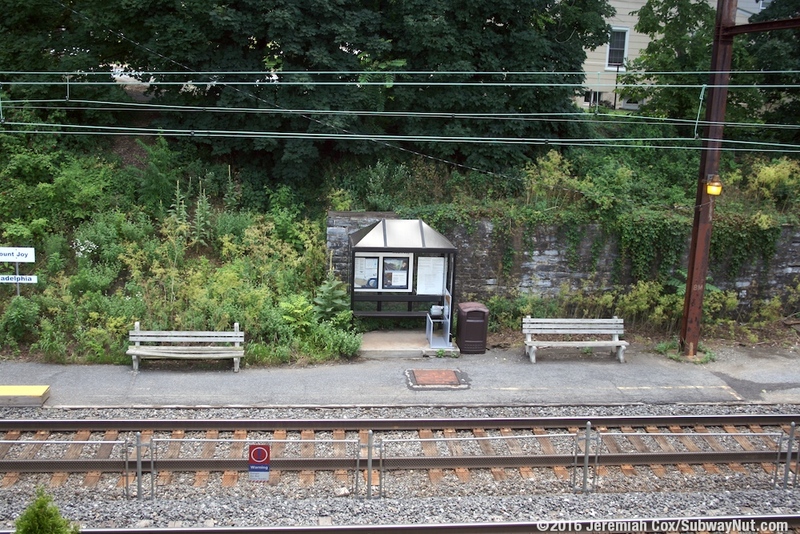 The current station is extremely small and simple, with two low-level very short side platforms (just one set of steps for boarding trains at just one door), each containing a few benches (that have Amtrak 1-800-USA-RAIL etched into them) and a black bus shelter with a bench containing a small information panel/name sign on the rear. 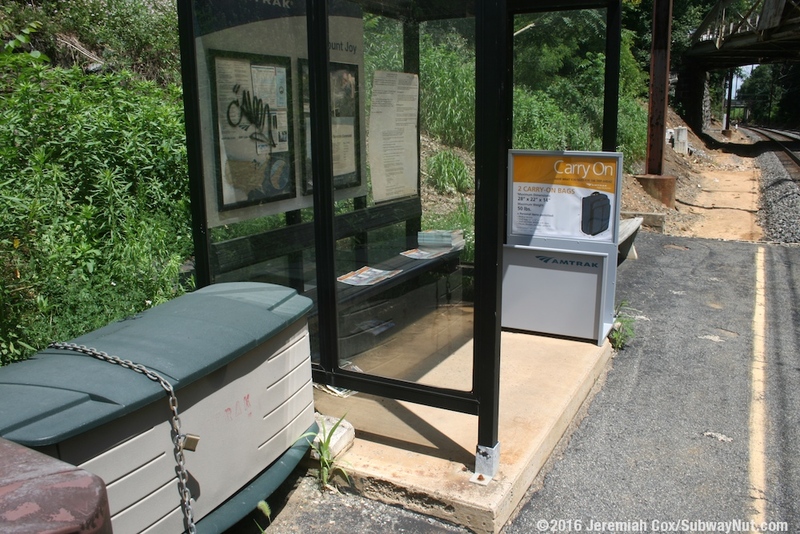 There is also a luggage sizer inside each shelter. 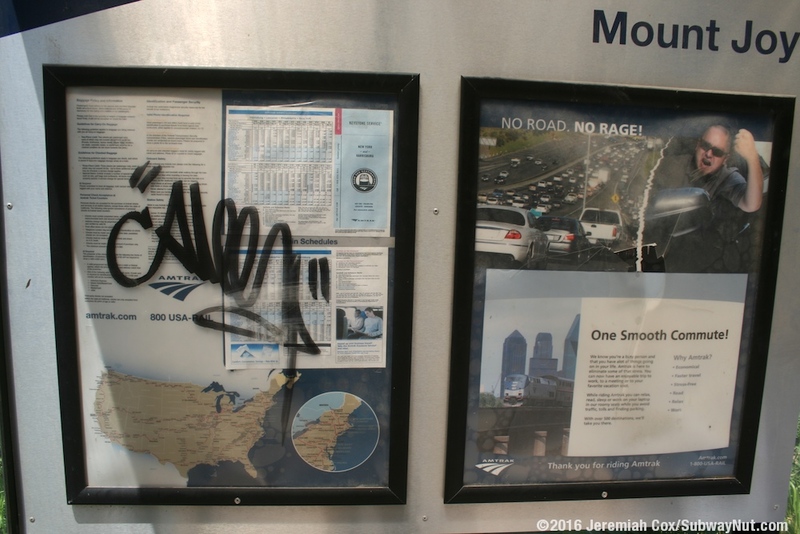 The Philadelphia-bound platform also contains an Amtrak information panel. 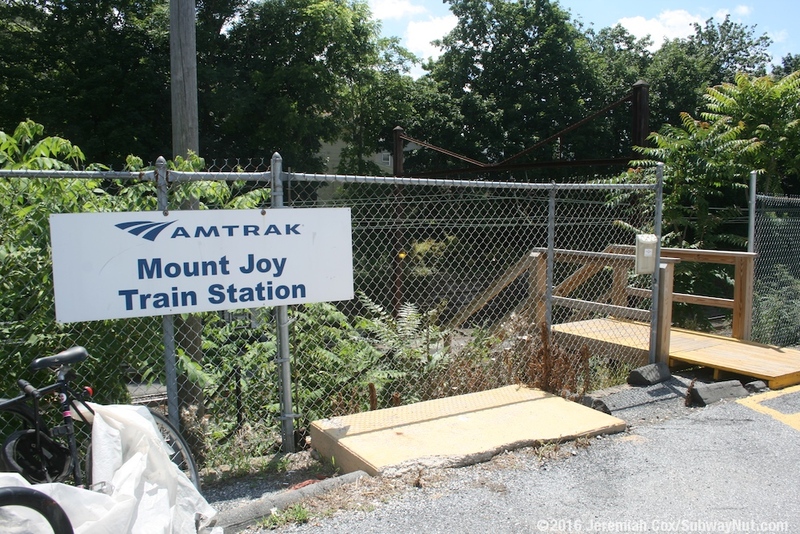 There are a few more white Mount Joy, PA signs, some partially covered in the overgrown brush along the sides of the open-cut. 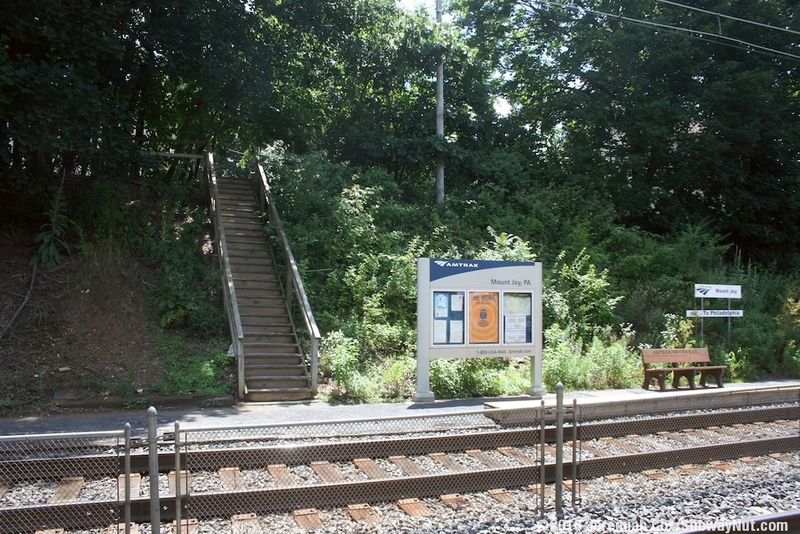 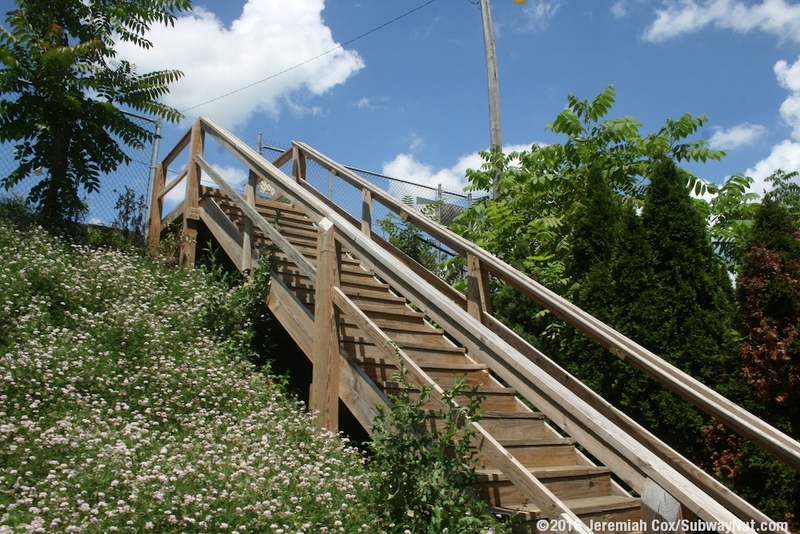 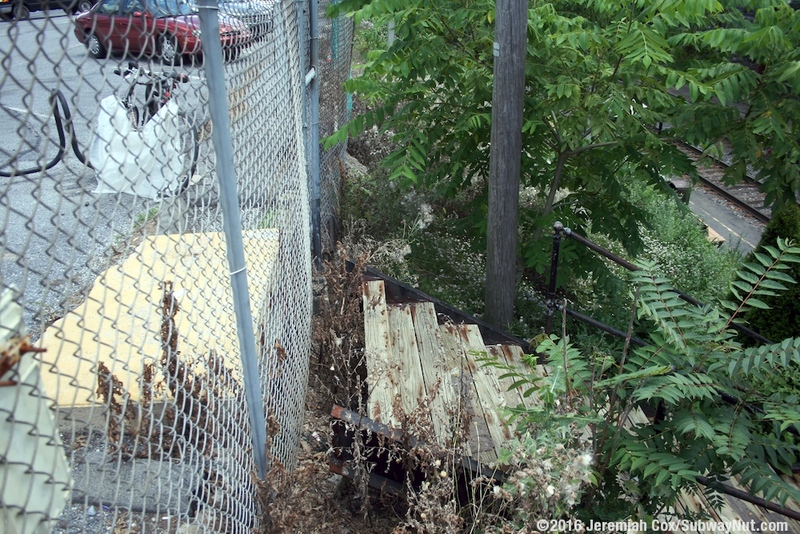 Access to each platform is from a long wooden staircase (rebuilt in 2006 when new Shelters were also put on each platform). 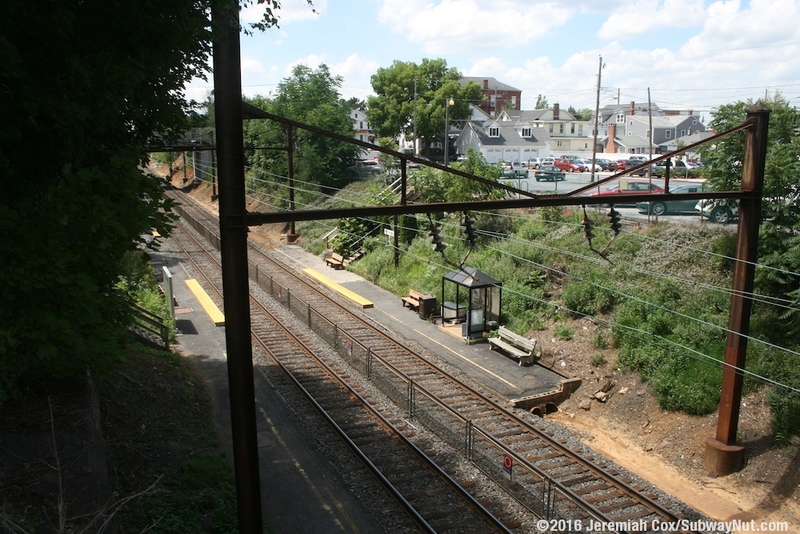 The Harrisburg-bound platform leads to the middle of the station's 10-space parking lot, with access to the New York-bound platform via the old narrow bridge of Marietta Pike (10 ton load limit) and a small brick walk to Cling Alley. 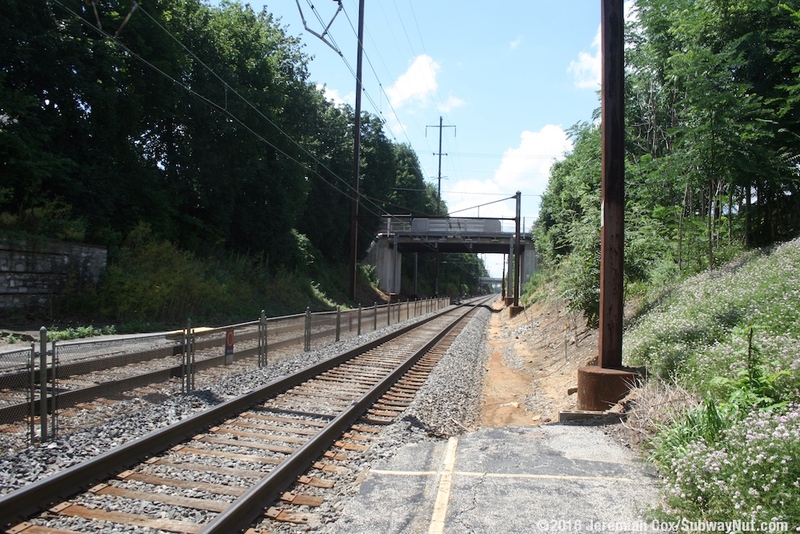 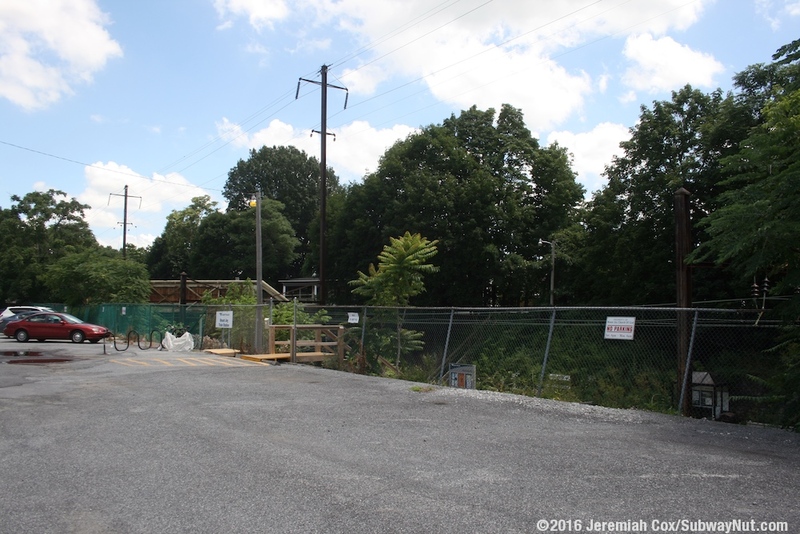 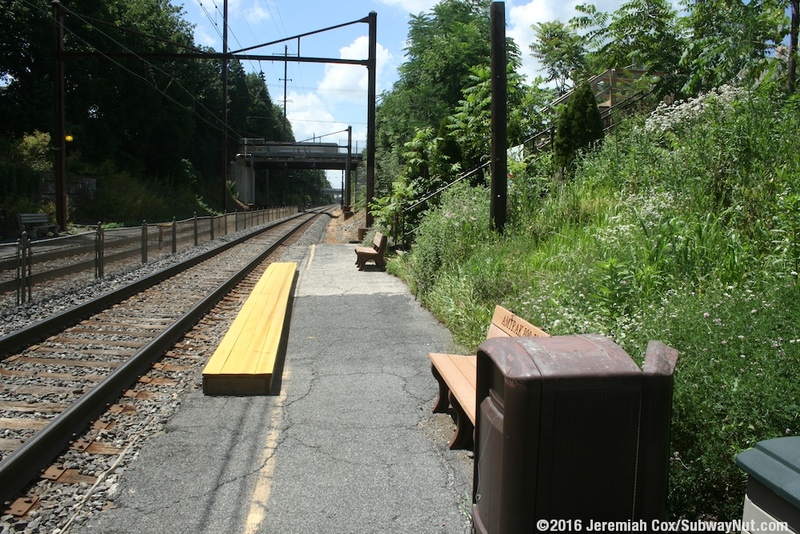 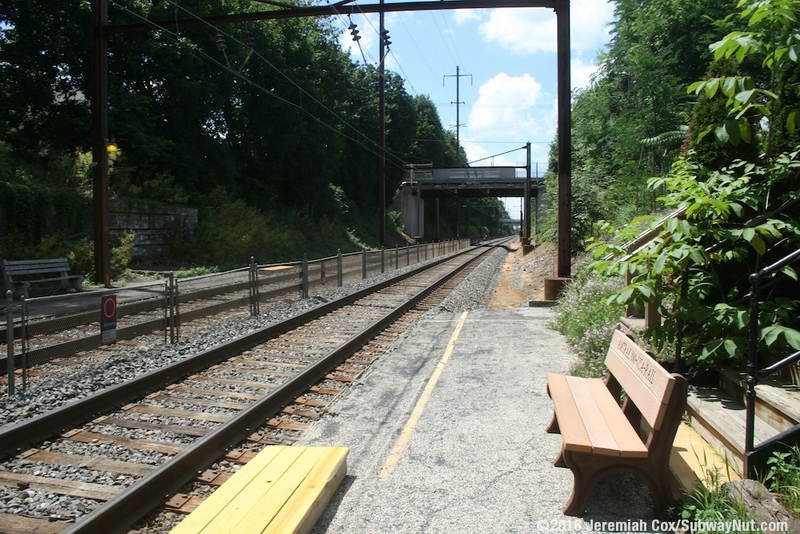 The last grade crossings to be removed from the Keystone corridor, creating a fully grade-separated corridor between Philadelphia and Harrisburg were about 2.5 miles east of this station. 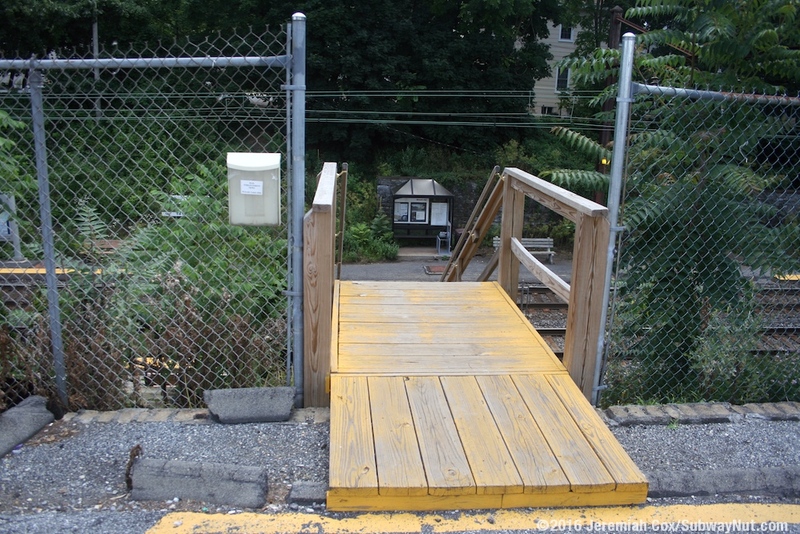 On Wednesday, September 24, 2014, the Eby Chiques Road grade-crossing was closed along with the opening of a new road bridge. 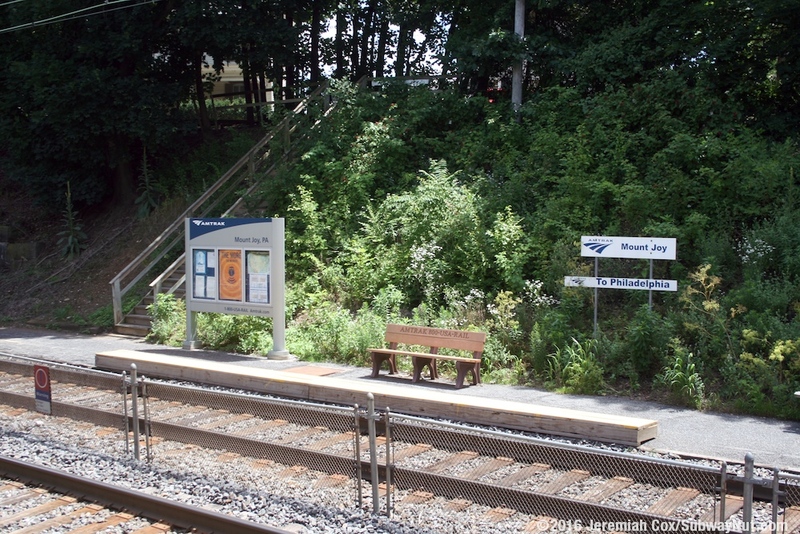 In October 2016 construction began on a new Accessible high-level platform station that will include elevators down to each platform and a dedicated pedestrian bridge. 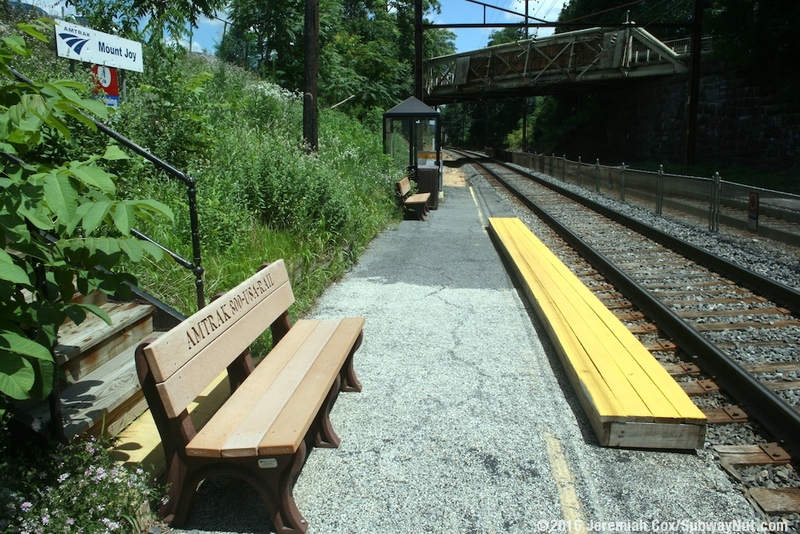 Keystone Line schedules were changed on March 6, 2017 to allow for single-tracking in the Mount Joy area for construction of the new high-level platforms.